Proper employee onboarding and training can make a tremendous difference in your company’s profits and customer satisfaction scores. 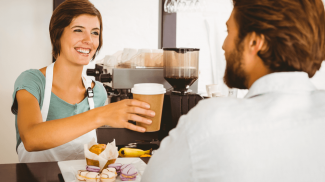 However, a quick glance at the latest American Customer Satisfaction Index shows that there is a big disconnect between current training programs and quality customer service. The industry with the highest overall satisfaction score, full-service restaurants, still manages to displease an average of 19 percent of consumers. Even worse, Internet service providers have an abysmal average satisfaction score of only 62 percent. If you’re trying to launch a new product or build revenue, you can quickly be hobbled by the 49 percent of consumers who will take their business elsewhere if they’re unsatisfied. Lackluster training programs cause many of these issues. They do not ensure each new employee is given the necessary skills to meet customer expectations. The team behind TalentCards saw this gap as an opportunity to give employers a better solution. Their basic formula works well as a best training practices guide. So, what do these training visionaries recommend? Here are four tips that can boost satisfaction for your customers and employees. Did you know that most people can only focus closely on a task for 20 minutes at a time? Scientists have discovered that the basic attention span of a human is a paltry eight seconds. In other words, employees in a training session need to constantly refocus on the information being presented. This becomes a mental strain after a while, which can leave them feeling burnt out. The Harvard Business Review indicates that people naturally fall off-task for almost 47 percent of each day. This is primarily caused by a lack of breaks and the demand for an unrealistically high concentration skill set. Think about your current training and onboarding programs. Do they require people to attempt to stay focused for several hours at a time? When this happens, your employees are going to miss important information. Bite-sized pieces of training are more easily absorbed and integrated into future performance. TalentCards recognized this and built an entire training system around it. Their micro-training utilizes smartphones, virtual flashcards, attractive graphics, and gamification to deliver the most critical details in a quick and memorable way. By breaking your company’s training into similarly small pieces, you can increase trainee engagement and retention. No one wants to sit in a room for several hours while an instructor drones on and on about a seemingly never-ending list of policies, procedures and tasks. Your employees will disengage quickly, and they’re also likely to end up resenting the entire process. If you must impart some information verbally, try to keep each session to a 20-minute presentation. Otherwise, give them the ability to take control of their training, so that they can connect and disconnect as much as needed to retain optimal focus levels. TalentCards paid close attention to this need by developing a smartphone-based training program. Each of their virtual flashcards can be fully digested within three to seven minutes. This meets the requirement for bite-sized pieces. It also gives employees the ability to learn something new whenever they have a few minutes to spare. There’s also a higher sense of accomplishment when someone is able to complete a piece of their training so quickly. Approximately 77 percent of Americans own a smartphone, and this number increases annually. Even those who don’t own a smartphone can typically learn how to use one more effectively than a computer. Smartphones have changed everything about the way we read, learn and gather new information. That’s the primary reason articles such as this one use smaller paragraphs than you would have found in a similar piece twenty years ago. Whether you run a huge corporation or a smaller chain, you’ve almost certainly dealt with employees sneaking a peek at their smartphone during the workday. Instead of banning all smartphones in the workplace, it’s wise to steer into the skid by using smartphone culture in a better way. Studies show that people who are allowed to utilize their smartphone for work put in about 4.5 more hours weekly than their non-smartphone using peers. As you can see, the trick is to make their usage work related. This was another area that TalentCards decided to address by making their micro-learning flashcards available via a smartphone app. Giving your employees the go-ahead to use their smartphone as a training tool is a wise choice. Use it to transform their workplace usage from wasteful to worthwhile. Large corporations and chain stores often roll out a new product nationwide. But how do you ensure each employee knows how to properly sell it, while also providing excellent customer service? Large, company-wide meetings or training sessions were needed in the past. Fortunately, the invention of app-based micro-learning is a game changer. Use micro-learning to deliver impactful training at their current location. Employees will have less stress and the company will save on travel expenses and labor costs. TalentCards specifically designed their app to enable huge corporations and chains to provide simultaneous, on the spot training company-wide. This will save everyone a lot of time and energy. It can also drastically cut training costs without sacrificing anything. Micro-learning is well-positioned to provide a dramatic increase in engagement and compliance. Most companies have an almost overwhelming amount of competition. This gives customers a lot of options if poor training causes an employee to mishandle a sale or support call. Stop accepting the losses associated with customer dissatisfaction by putting modern technology and human psychology to work. Give your employees the ability to train from their phone in quick bites. You’re highly likely to be rewarded with improved employee retention, higher customer satisfaction scores and more profitable product launches. A trained personnel can boost your customer satisfaction for they will know how to deal with your customers the right way. Yes. Too many small businesses fail to realize that one bad employee (or even family member) can seriously damage their business. Most customers don’t complain – they just fade away and don’t come back. It is important to let the employees engage in training on a regular basis. This will help them stay on top of their skills and be able to comply with the demands of their job more. Yes, employees often need refresher courses or to expand their skills. But the quality of the training really matters. I always remember the annual safety courses we had to take at IBM because they were so ridiculous. One was on what kind of fried you would be instead of how to keep from getting electrocuted. I always found that less than useful. Who cares if you’re dead? What matters is teaching employees how not to get injured or killed instead. Another was on why you shouldn’t lift more than 25 lbs or ever lift and turn. If you did what that training recommended, you’d be too weak to do the job. And we routinely installed parts that weighed 89 lbs. and some even heavier. And anyone who loads hay for horses or livestock lifts and turns without getting injured by it. So I hope small businesses put more thought into the kind of training they provide. It needs to be useful and easy to understand. Micro-learning will definitely make that easier.